15/11/14. Alqosh, Iraq. A drawing by Wassam, he says the picture depicts two friends. 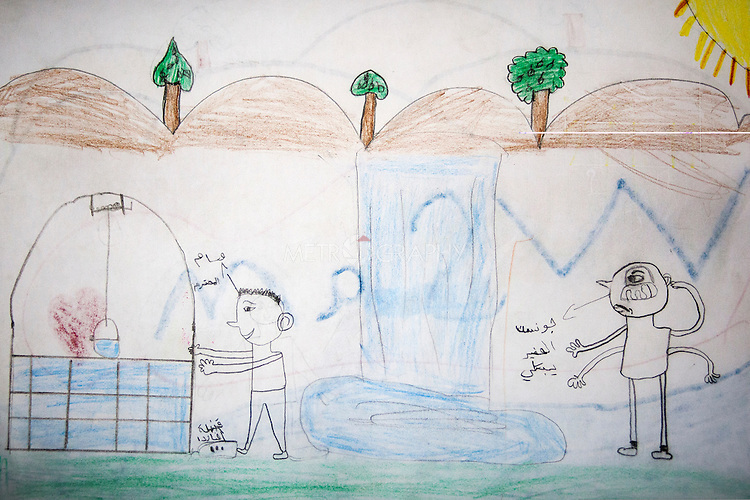 The character on the right is named Johnson and is crying because his friend Wassam (left) is about to step on a mine as he collects water for flowers from a well.